During the summer holidays of 2015 I'm road tripping around Europe with my dad. We've done it twice before - and I guess we're not getting any worse at it. 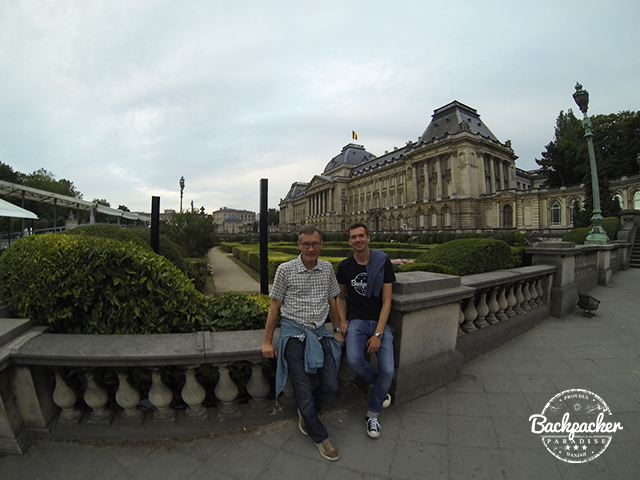 We reached our first destination in Belgium; Brussels, in the evening on Saturday, after a whole day of driving. I had decided to give my dad his very first experience as a couchsurfer. We arrived at our host; Paolo's place where we got settled in, before having delicious Italian pizza, which Paolo had prepared for dinner. 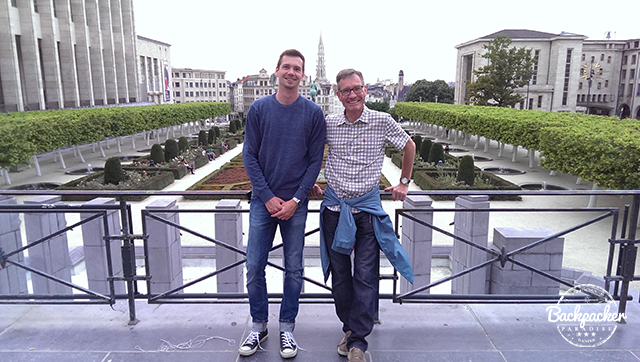 With full stomachs Paolo took us sightseeing in Brussels. 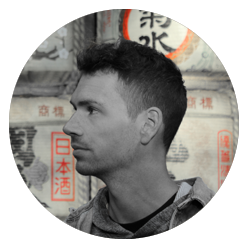 Paolo is originally from Milan, Italy, but has lived and studied in Brussels for a year. 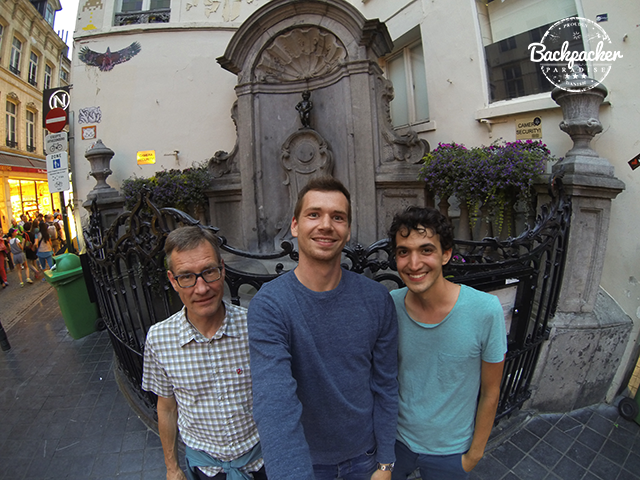 We stopped by perhaps the most famous, yet heavily insignificant Manneken Pis. 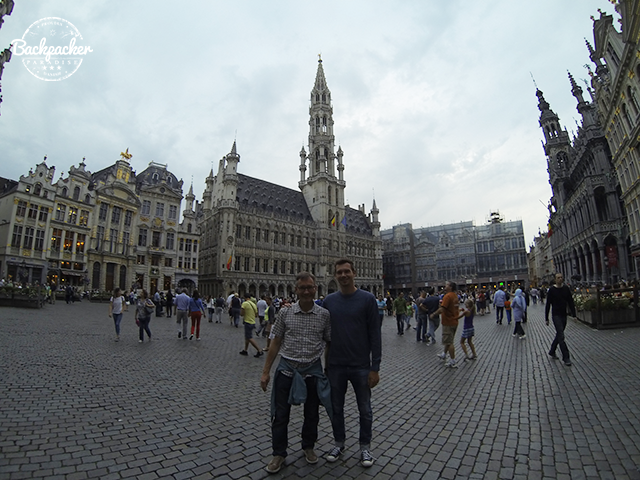 ...and the Grand Place, which was the thrill of the tour. We arrived as the last of daylight still shined upon the old architectural structures. We went to the famous Delirium Bar. A bar with so many brands of beer, that if you can order a beer, which they don't serve - you'll get free beer for a year. We simply ordered from the menu. 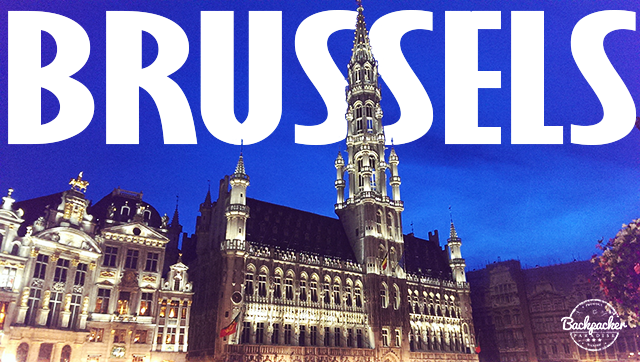 After a well-tasting Belgian beer, the darkness had conquered the Grand Place and allowed the buildings to shine in the dark. 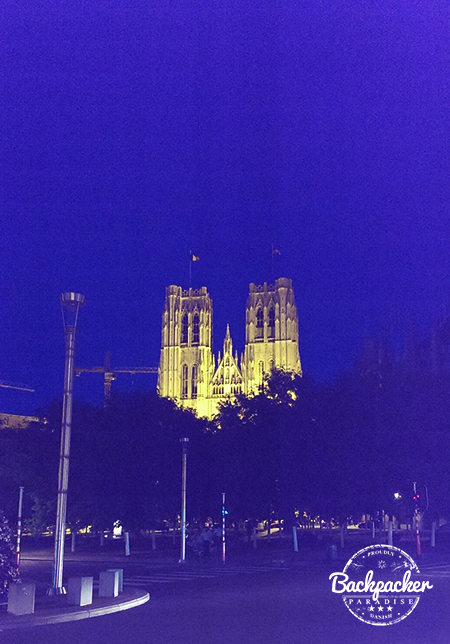 On our way home to Paolo, we walked pass St. Michael and St. Gudula Cathedral. We had a perfectly good sleep at Paolo's and my dad's first experience as a couchsurfer turned out to be a success.